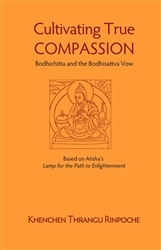 Here Rinpoche distills the essence of Atisha’s Lamp for the Path to Enlightenment , which is in itself a concise teaching. Finally Rinpoche describes the Bodhisattva Vow and its role on the Buddhist path. 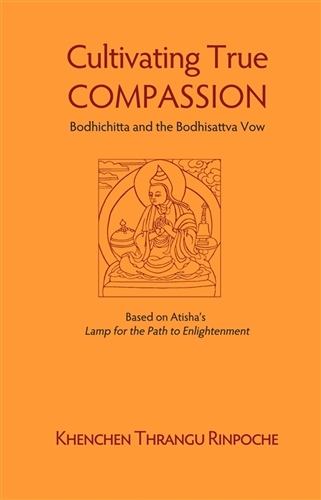 A modern translation of the root text, A Lamp for the Path to Enlightenment, is included. The Indian scholar and saint Atisha reintroduced pure Buddhism into Tibet in the eleventh century. His Lamp for the Path to Enlightenment sets forth the entire Buddhist path within the framework of three levels of motivation and is thus the source of the graduated approach to spiritual practice of all four main schools of Tibetan Buddhism.